In recent years there has been an increase of interest in consuming fresh, naturally raised, organic produce and meat. By choosing these natural, fair trade products, consumers can feel good knowing that the farmers and workers who are producing these items work in safe conditions, protect the environment, and restrict harmful chemicals from getting into the food that we consume. While it is fair to say that the cost is higher to visit an establishment that uses items such as organic eggs, locally raised bacon, fair trade coffee and locally grown vegetables, it is reassuring to know that the food being consumed, when labeled organic or fair trade, has been properly handled to avoid chemicals, bacteria, and cross-contamination. Conventional farmers and food handlers utilize chemicals and growth hormones, causing their crops to grow at rapid rates. These chemical fertilizers and/or “sewage sludge” are all cheap to ship and use, hence the lower cost of the items. Organic farms are typically smaller and the farmers take more time to produce their crops, which in turn increases the price of the food. 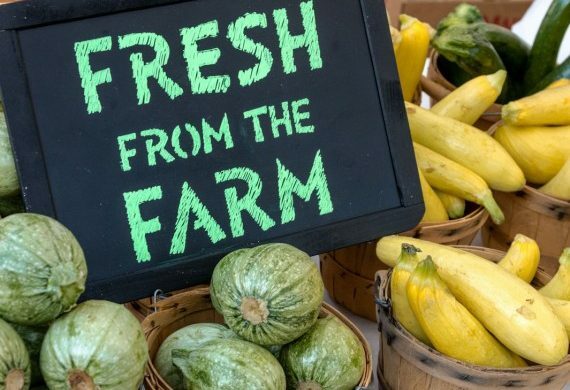 As the popularity of living a healthy lifestyle continues, more establishments will partner with local farms, to ensure that their customers are eating only the healthiest and most natural ingredients. On average it is only a $1.50 more, per day to consume healthy, locally grown food. While this can add up for some individuals, it is a very small price to pay compared to the economic costs of diet-related illnesses and diseases. When farmers choose to keep chemicals away from their crops and animals, it equates to longer labor time, which increases the price. At least for a small investment, we can feel a sense of security with what we are eating and feel good knowing that we are supporting our local farms.